Where would you expect to see these markers? Where would you expect to see these markers? These markers must be fitted to vehicles over 13 metres long, large goods vehicles, and rubbish skips placed in the road. They're reflective to make them easier to see in the dark. Other red and yellow warnings look like this. 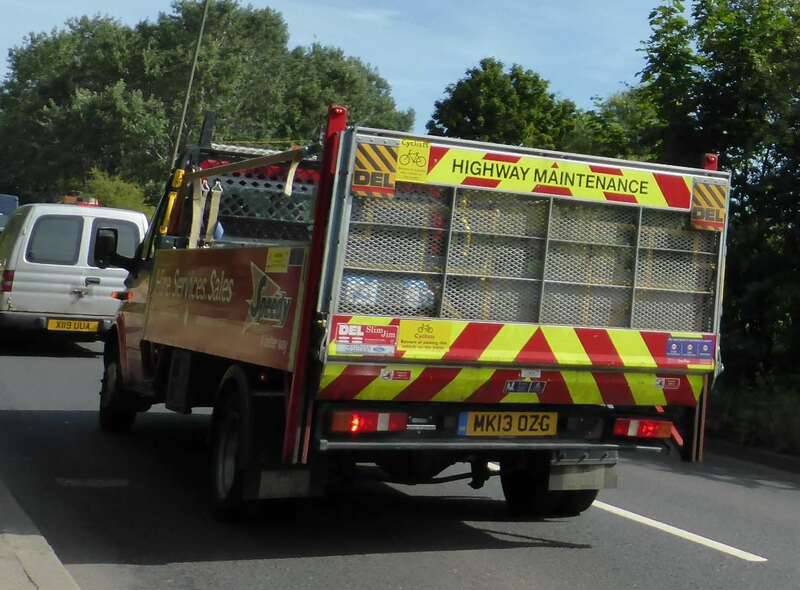 The back of this highway maintenance truck shows them.